Pops Concepts organisers of Nigeria’s largest MakeUp & Beauty Trade Show – The MakeUp Fair Series is back with 2 Mega Fairs under one Roof, its 21st edition! The 5th Lagos MakeUp Fair (LMUF5) and is introducing for the first time The INDIE Beauty & Wellness Fair (IBWF2016) for independently owned beauty & wellness brands. 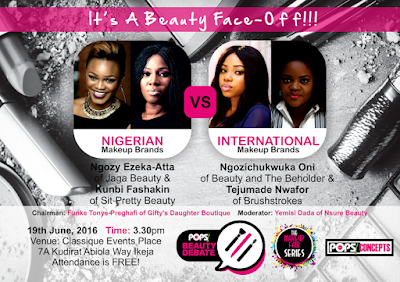 The MakeUp Fair Series is the largest gathering of industry practitioners with a unique networking experience and conducive avenue for all beauty savvy professionals, vendors, enthusiasts, beauty conscious individuals, prospective buyers, shoppers, investors, distributors, makeup artistes, beauty and makeup business people. Its the perfect makeup & beauty trade platform! Since its creation in February 2012, The MakeUp Fair Series has successfully hosted 20 editions and toured 6 major cities – Abuja, Lagos, Port Harcourt,Uyo and Owerri – in Nigeria. 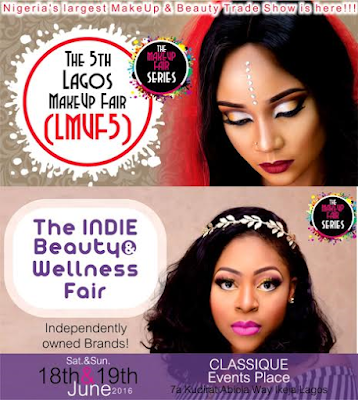 The 5th Lagos MakeUp Fair + INDIE Beauty & Wellness Fair, promises to be fun as it will showcase a variety of makeup and beauty brands/Professionals. 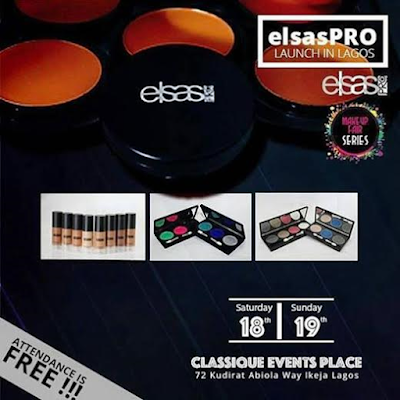 The event will also feature Elsas Pro’s Lagos Launch, demos, Discounts, meeting makeup & beauty experts, shopping, learning makeup skills, special offers, treats, food and drinks, networking, loads of freebies for grabs plus lots of entertainment. 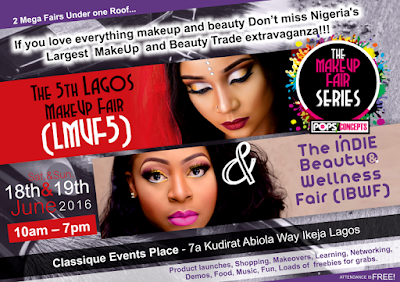 Don’t come alone, come along with friends and join us for this one-of-a-kind beauty extravaganza!! !